When the Hon. 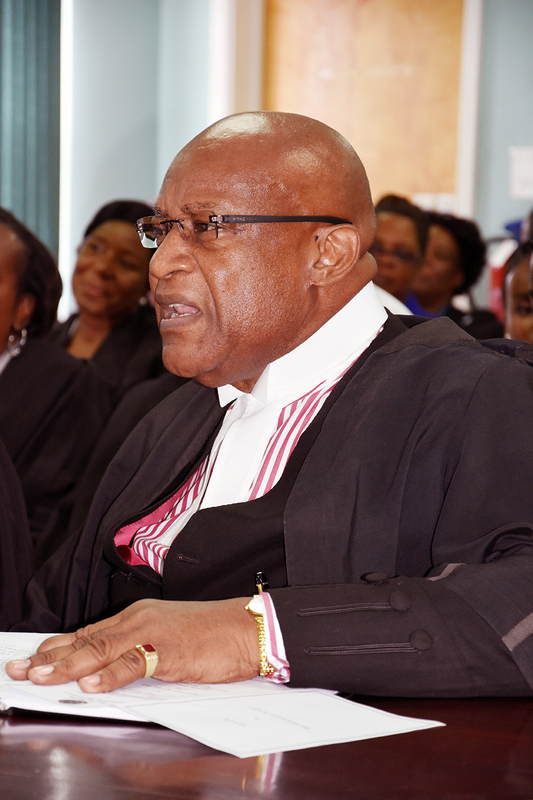 Justice Albert Redhead sat in the tiny High Court room of Montserrat on July 20, 2016 it was already accepted that this would be his last time on the bench as he chaired a special sitting at the High Court in Brades, specially organised in honour of his ‘final’ retirement from the bench, where he served as high court judge and justice of appeal of the Eastern Caribbean Supreme Court (High Court of Justice). 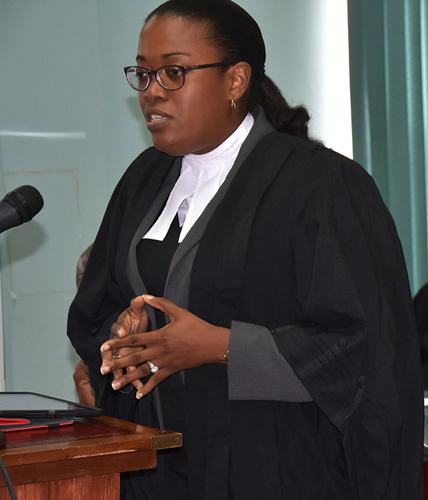 That was to be the tenor of the several addresses of farewell from the several barristers in the room, beginning with the first speaker, Mrs. Sheree Jemmotte-Rodney, Ag. 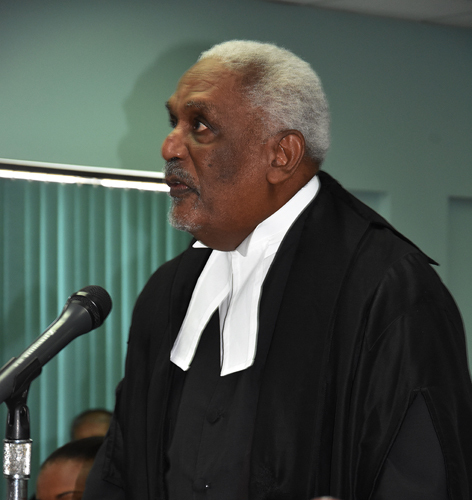 Attorney General, the capacity in which she addressed Justice Redhead, who along the way was reminded that this finally would be his retirement. 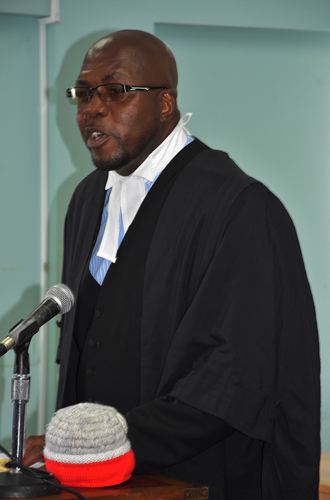 Mr. Allen who spoke next, “You have served the Eastern Caribbean Supreme Court faithfully and with distinction. I was here from the beginning -I have been here for 57 years,” as we went on to speak about the romance of retirement. “We did not need long fellow or Shakespeare or our own distinguished poet Sir Howard Fergus to define for us what retirement means we know that, that romantic term is associated with words like rest and peace and quiet and ending and finishing and departing and so on…just thinking of a sunset but even as the sun will rise again tomorrow and retrace your journey or some part of it you have done all of that with honor setting records along the way,” he said with admiration. “May God grant perfect peace and good health to you and her (the wife) for the rest of your years and may they be many and happy,” he concluded. 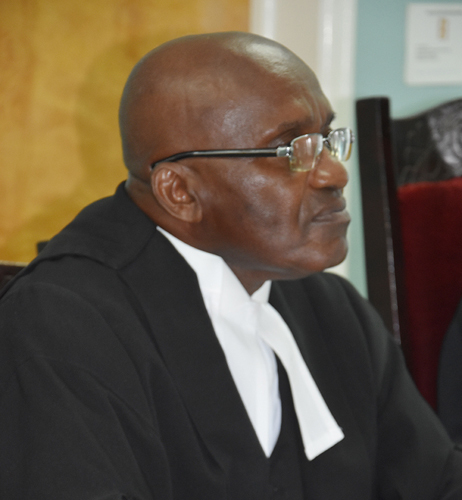 Continuing to address the judge in rank of seniority, came Hogarth Sergeant, who seemed more brief than those before him, but he also remembered the judge taking up the appointment to serve Montserrat in 1985, when he served as Magistrate/Registrar. He spoke to the judge’s experience, and his understanding, and speaking on behalf of the other lawyers who would not be privileged to speak, paying tribute on behalf of the Registry staff and those of long ago, recalling Mrs, Eileen Edwards. “Your honor has always been a true supporter of the profession and from your long standing experience you know the difficulties that can be faced with clients, but you’re always a pleasure to appear before, because you remained courteous to all. 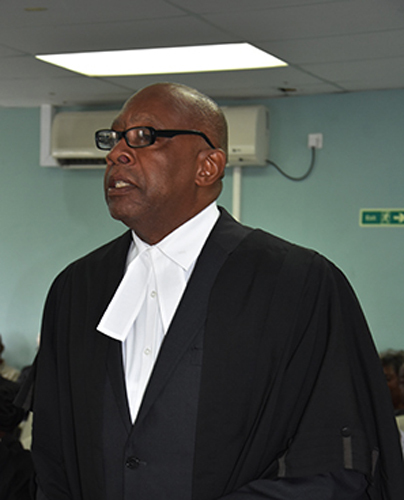 Before closing with best wishes for the judge, he admitted, “what is right and correct could be very well subjective what is moral is not…over the years you have been perceived as a common law judge committed to fairness and justice. There is absolutely nothing wrong with the overlapping of law and morality,” he concluded. He recalled that Judge Redhead was “the first judge I knew.” it was a pleasure for him (no doubt he aimed at being a lawyer since then) “to attend the court house to listen to you.” He said he believed at the time in order to learn anything and in order to be a good police officer, “you must attend court’” as he made time to do in his spare time. “I can say now that I have gained quite a lot from listening to you. Now that you’re retiring I can make a couple of confessions; that you’ve always been my favorite judge. I consider you to be a friend and now that you are retiring, I know everyone spoke about fishing, I hope to get some of that fish,” (he joked). Hon. Master of the Eastern Caribbean Supreme Court, Agnes Actee (served in Montserrat as Registrar) joined Justice Redhead on the bench and she brought greetings and best wishes from the Hon. 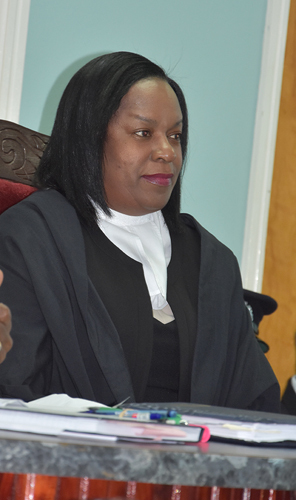 Chief Justice Dame Janice Pereira who was on duty in the British Virgin Islands (BVI) and could not be present in Montserrat for the occasion. In her opening she added The Commissioner of Police and wife and commander of the Royal Montserrat Defence Force as well as members of the Clergy. She recalled it was here “I obtained a baptism by fire in the first time ever sitting in a criminal trial from its commencement to the end…My experience with you here on Montserrat will remain perpetually edged in my memory,” she said that justice Redhead “you took me through the entire process of a criminal trial…I learnt the entire gamut of a criminal trial process from you judge for which I am eternally grateful,” as the experience here in Montserrat (with the judge) “better prepared me for my position on the bench,” having the opportunity to experience your detailed knowledge in both civil and criminal law. 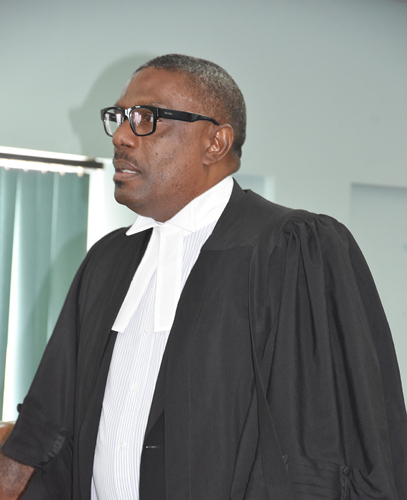 The judge in his response said, ”It is with profound sadness that I too, say my final goodbye to the bench and the lovely people of Montserrat after 31 years and five months in Montserrat,” informing of the exact date he arrived. “I first arrived here as a judge on the 4th of March 1985. I have enjoyed tremendously sitting in Montserrat because apart from my love for the law, Montserratians are wonderful people,” he said. He said this was so, because, “Montserratians in my view are a very affable people; easy to get along with, law abiding. “Not with-standing your small population, I am firmly of the view that you are the most law abiding people in the nine territories in which I have served,” he said. He expressed the view that, “to show open dissent against the ruling of a judge is disrespectful. You do not agree with the judges’ decision appeal. The retiring judge said further: “I say this not to criticize anybody particularly, but for the love of the bar, I think this practice should stop,” noting his love and devotion to the bar, the law. “I say this must practice must stop.